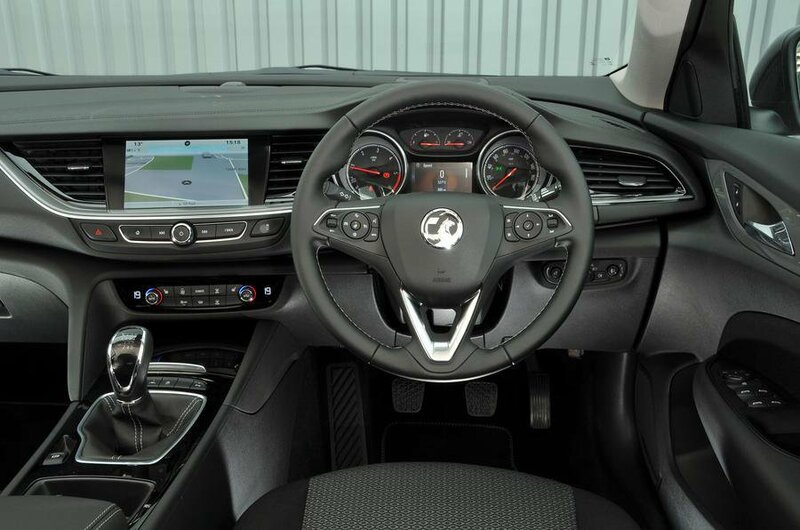 Vauxhall Insignia Grand Sport Interior, Sat Nav, Dashboard | What Car? Even the seats fitted to the entry-level Design models are pretty comfortable, but we’d suggest moving up to Tech Line Nav trim for a greater range of adjustments that includes lumbar and seat-squab tilt for better thigh support. Even without that upgrade, you should find it easy to find a comfortable seating position thanks to plenty of steering wheel height and reach adjustment. Once seated, you’ll discover that the gearlever falls easily to hand and the major controls are just as conveniently located. 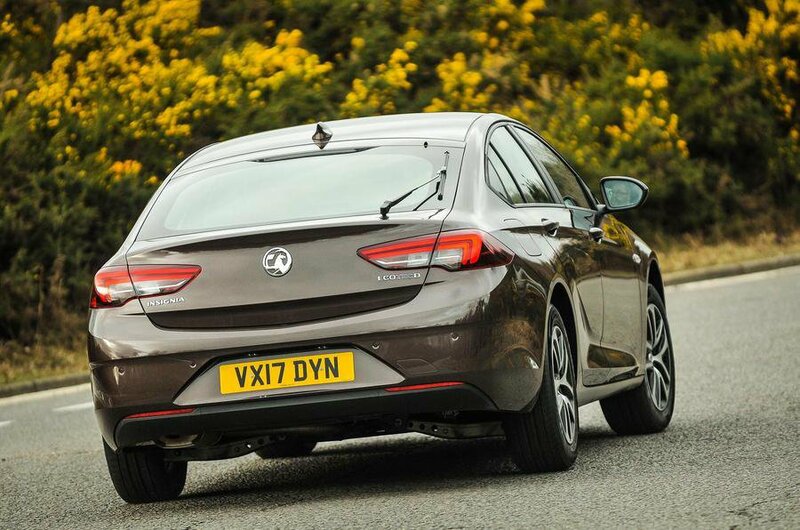 Keep looking forward and we doubt you’ll find any issues with the Insignia Grand Sport’s fairly slim windscreen pillars. Things aren’t so clever when you need to look behind – the broad rear pillars obscure the view over your shoulders. Helpfully, front and rear parking sensors are standard on Tech Line Nav and Elite Nav models and optional elsewhere in the range. If you are still worried about parking what is a comparatively large car, the optional rear-view camera will be worth considering. Powerful adaptive LED headlights (standard on top trims) are available to help reduce the uncertainty of night driving, and blindspot monitoring is an option on nearly all grades. All models have a colour touchscreen as standard – 7.0in on models without sat-nav, 8.0in with it. Both systems have Apple CarPlay and Android Auto smartphone mirroring, which allows you to control certain smartphone functions through the infotainment screen. Until the end of 2020, you also get a concierge service as standard. Just press a button to get through to an operative for advice on travel-related issues. Every Insigina also provides a USB port for passengers in the front, while Tech Line Nav models and above also offer one for those in the rear. When you are operating the touchscreen, you’ll find the on-screen icons are mostly large and easy to hit, and the menus are responsive and simple enough to figure out. Admittedly, things aren’t quite as instinctive as on systems from premium brands such as Audi and BMW, but it’s not far off Volkswagen Group’s systems fitted to rivals such as the VW Passat and Skoda Superb where it comes to ease of use. 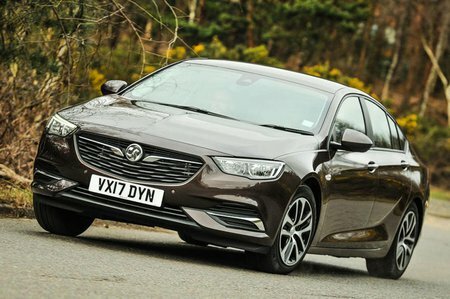 Vauxhall claims that the current Insignia Grand Sport feels more like a premium model than ever – a statement that is largely borne out. Okay, the indicator and wiper stalks feel rather flimsy, but there’s soft-touch plastic placed strategically in the areas you touch regularly, and your eye is caught by flashes of chrome that catch the eye and lend the interior a distinctly plush ambience. There are some scratchy surfaces lower down, but we’d argue that it has a more pleasing interior feel than the Ford Mondeo, if it still lags a little way behind the Superb for perceived quality.